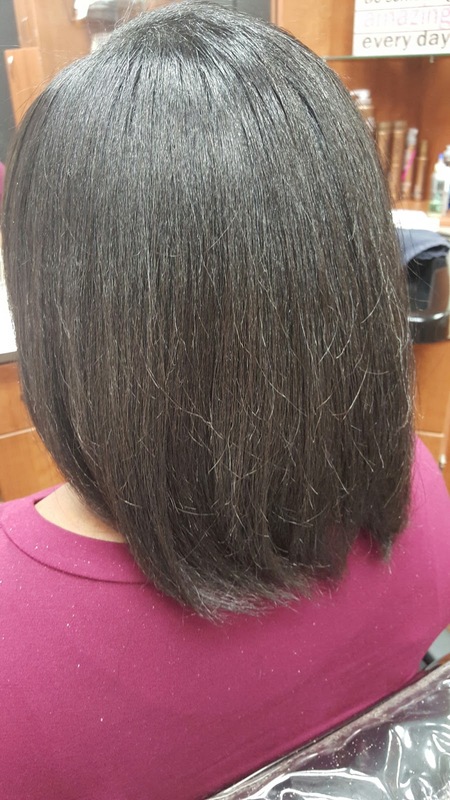 Just about every day in the salon I have natural women who tell me that they are so close to getting a relaxer. I have even had some tell me that they just could not take it anymore and relaxed it themselves! Just the mere thought of some of you non-professionals doing your own CHEMICAL makes me cringe but that is another blog post altogether. Back to the subject, when I ask my natural clients why they went natural in the first place they say because they wanted healthier hair. They tell me that when they had relaxed hair that it was so damaged and unhealthy. But then they get tired of it being natural and consider going back to a relaxer again. So my question to them at that point is if a relaxer (allegedly) caused your hair to be damaged and unhealthy why would you even think about getting it again? This brings me to today's topic. 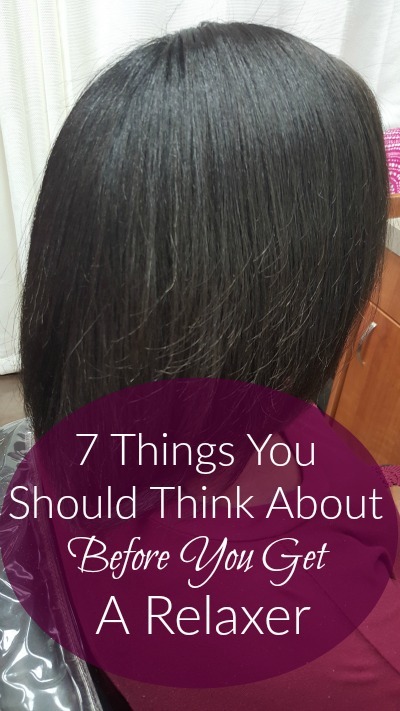 Today I would like to share with you seven things you should think about before getting a relaxer. The truth is that the actual relaxer does not cause the hair to be unhealthy, but using it the wrong way can. 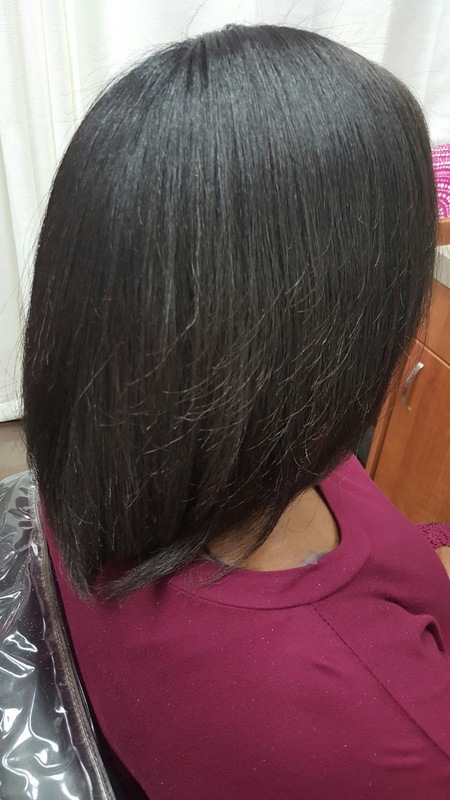 Review this list of things you should think about before getting a relaxer and if there are some things on here that you simply do not think you can do, then your hair would probably be healthier with no chemical at all. Can you stretch?- The number one reason why your hair may have become damaged or unhealthy from relaxers is because you get them too soon! So, how long should you go in between relaxers? My professional opinion is every 12-16 weeks (see why here), or when you have at least two inches of new growth, whichever comes first. It takes the average person about four months, or sixteen weeks, to get that much new growth. Can you stop saying the "n" word?- The "n" word in this case is nappy! Quit saying your hair is nappy! If you can comb through your hair it is not nappy. Half of you don't even qualify to call your hair nappy. Because as soon as you think your hair is getting "nappy" the next thought is to go ahead and get a relaxer way before it is really time. Just say it is getting thick. Agreed? 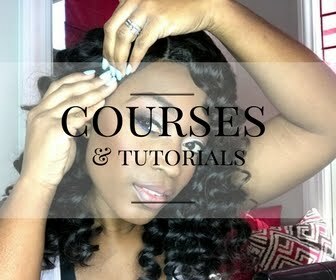 Can you handle extra new growth?- If you are not used to having two inches of new growth before getting your touch up it may take some getting used to. Some of you have been conditioned to having your hair bone straight all of the time that at the first sign of a wave pattern makes you think it is time to relax again. New growth simply means that your hair is growing! Allow it to do just that before relaxing again. Can you choose only one chemical?- Before deciding to get a relaxer, think about are you going to want permanent color also? If so, I would recommend picking which one you want more. Having both of the chemicals almost always results in damage so choose only one. 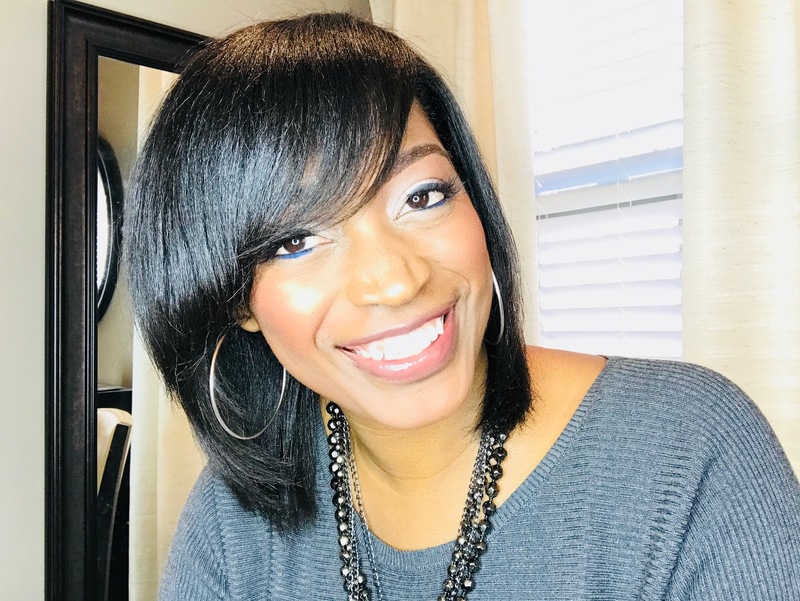 Can you leave the heat alone?- Allowing your hair to grow out more before you get a relaxer may make you want to use the heat of the flat iron more. Don't do this! I recommend only flat ironing your hair once per week or less. 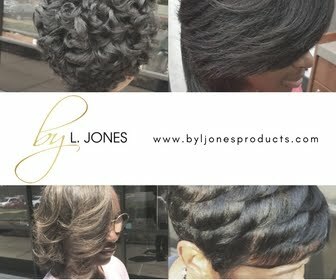 Can you leave it to the professionals?- I know when you see a professional doing relaxers we make it look very easy. That does not mean that you know can do them by yourself! Keep in mind that we have been trained to do this and we know what we are doing. 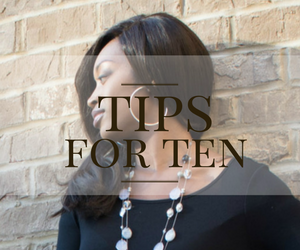 For instance, there is a time limit of how long you are supposed to process the relaxer that most non-professionals can do. Also, the relaxer is not supposed to burn! Proper technique ensures this as well as prevents overlapping. Can you honestly say you know where the new growth stops and the previous relaxed hair begins when doing your own relaxers? Yet when your hair starts falling out, breaking, and getting thinner you swear its because the relaxer took your hair out. For these reasons alone, leave the chemicals to the professionals. Can you handle the at home maintenance?- In order to keep your relaxed hair at its healthiest state, at home maintenance is very important. You must be willing to wrap your hair every night, keep your ends trimmed at least every three months, and shampoo preferably once per week. It's really not much but consistency is key. If you can handle these things then maybe you are ready to get a relaxer. If not, your hair may be healthier being relaxer free. To me it doesn't make a difference which one you choose as long as your hair is healthy. Hopefully these tops have helped you in making a decision. Let me know in the comments below! Well stated Latoya. I have relaxed hair and I can go for about 8 to 10 weeks before I need a retouch. I also go to the salon every 2 weeks to maintain my hair, I.e. washed and deep conditioned. I wrap my hair up every night. My hair has been relaxed since 5th grade. Great! Try pushing past 10 weeks and go to 14, then finally to 16, you will notice a difference! LaToya, I'm currently 11 weeks post. I'm pushing for 24 weeks. I deep condition weekly with coconut oil and conditioner to roots with outstanding results that help me postponed my relaxers.